Adorn yourself in the striking allure of Oscar de la Renta™ Cord Tassel Earrings. Colorful tassel cord earrings with bead anchor. Clip backs with comfort pads. 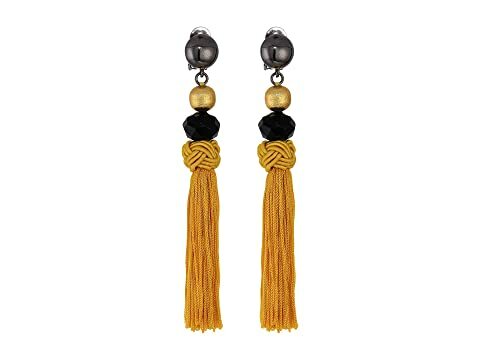 We can't currently find any similar items for the Cord Tassel Earrings by Oscar de la Renta. Sorry!